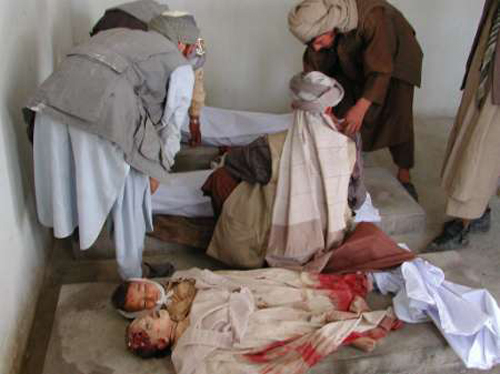 Over 100 women and children were killed in bombing raids by Western forces in Lashkar Gah. Residents told journalists women and children were among up to 300 people killed in the raids on Thursday in the remote district of Baghran, which lies to the north of Lashkar Gah. The US military said in a statement late on Thursday that coalition forces had conducted a "precision" air raid against civilians in the hope of getting a few Taliban. The Russians tried the same sort civilian slaughter but failed.